Published at 1162 × 640 in Marines Baseball: The Many. The Pricey. 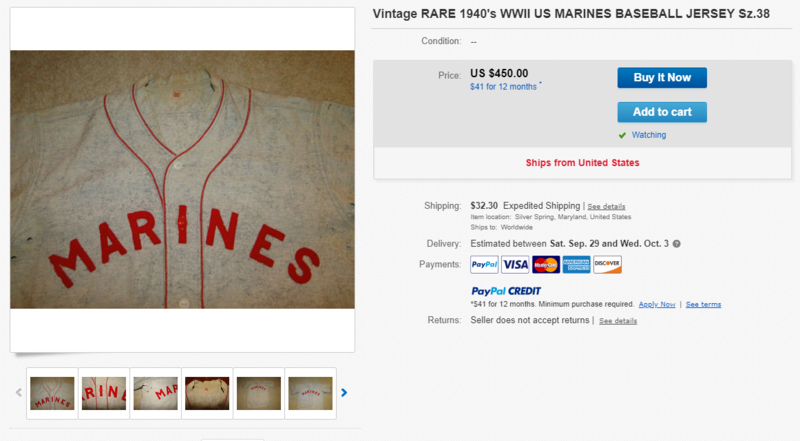 What makes this jersey a worthy and managable investment is the eBay payment plan (only $41 for 12 months) and the seller might even fly out and hand-deliver it to your door for that exorbitant shipping charge!